The highlight of my Sunday morning is reading the “Meh List” in the New York Times magazine. The meh list is a weekly compilation of things, people and places that are neither here nor there–just so so. 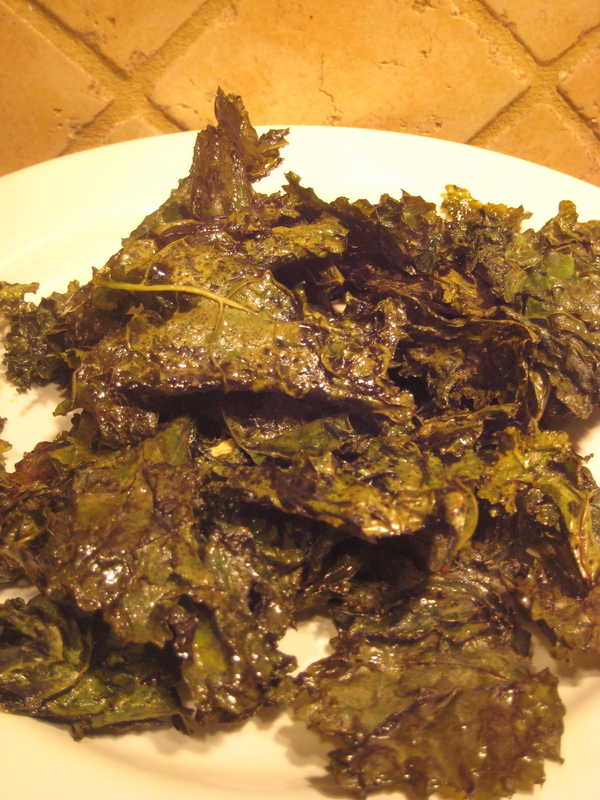 I have been trying to come up with an item I can submit and on my list of possibilities was kale chips. Well I recently made them and and as it turns out not only are they not “meh” they have some sort of mystical quality. They were so good that I barely remember eating them! 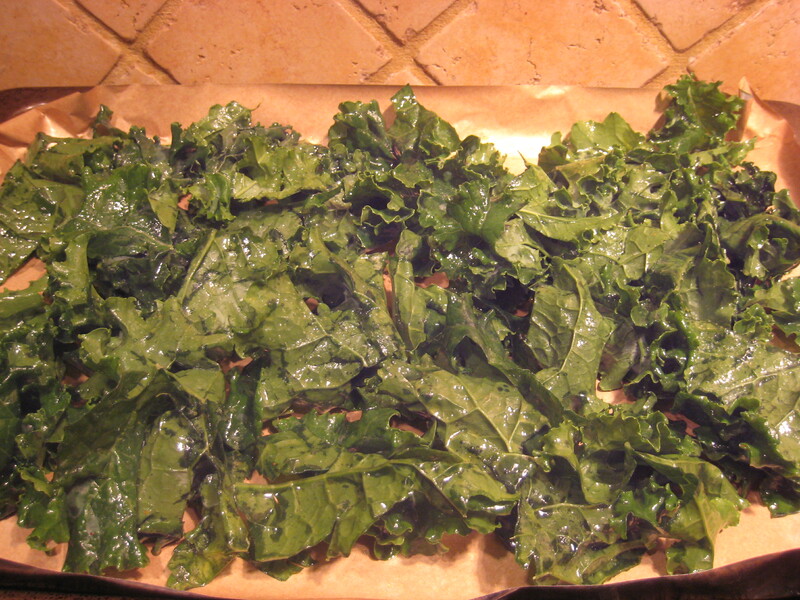 The best way to get crisp kale chips is to make sure they are completely dry. 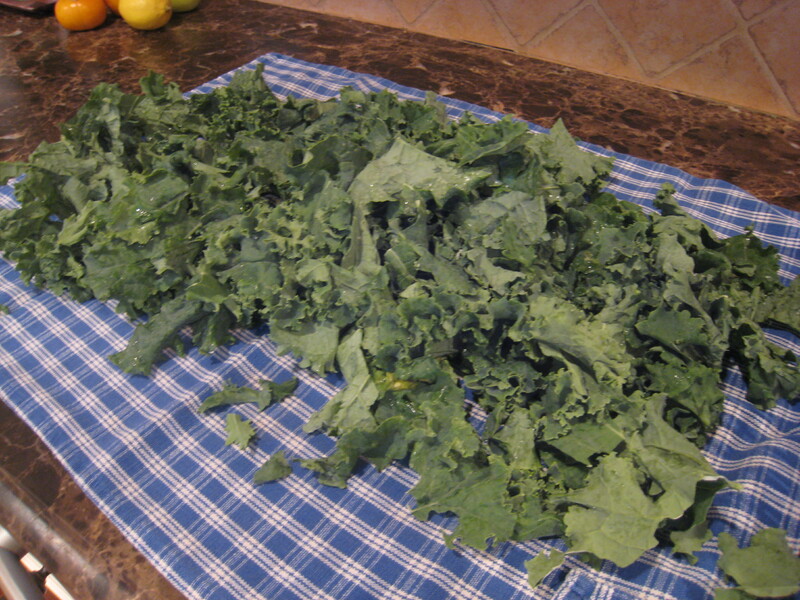 After I ran the kale pieces through a salad spinner I laid them out on a kitchen towel and rolled them up. Combine all ingredients, except salt, in a plastic bag and shake. Lay across a baking sheet lined with parchment paper in a single layer. Sprinkle with salt. Bake until crisp @ 20-25 minutes. Thank you! Was not easy to get a good photo. 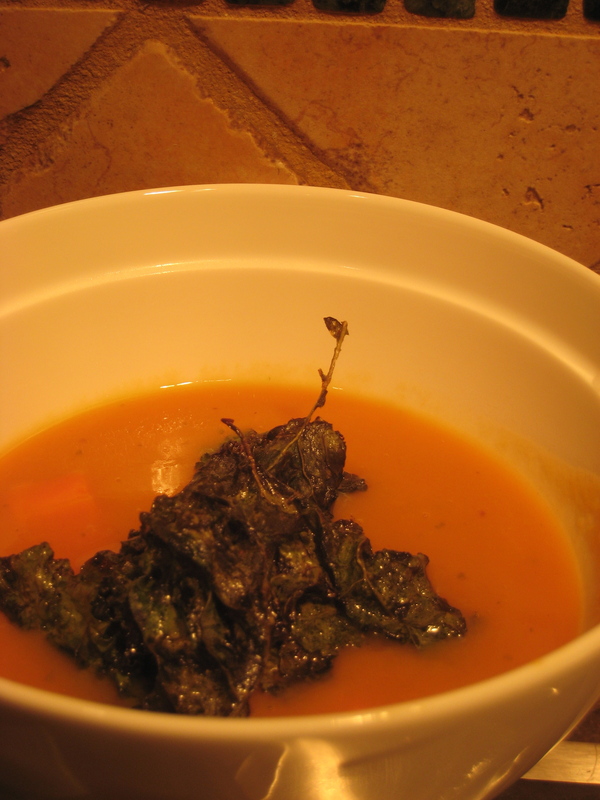 Going to check out your blog–is your chocolate kale recipe posted? I did and commented thank you so much–it looks so good! I made my first batch of kale chips a couple of weeks ago. They turned out great, but I found they didn’t keep well. They became soft and limp overnight. Any storage suggestions other than the oven overnight? ?